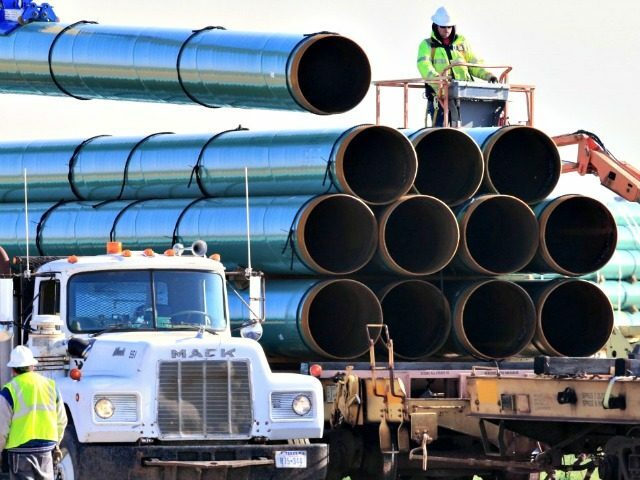 President Donald Trump is expected to sign an executive order next week in response to environmental activists’ ongoing legal efforts to stymie his administration’s efforts to reduce regulations and ramp up pipeline construction to allow Americans access to the abundant domestic supply of natural gas. Although America is a global energy superpower and the United States has been the world’s top producer of natural gas since 2009, New England relies on imported LNG from faraway countries for about 20 percent of its natural gas. And as for propane, another heating fuel, New England would have been left in the cold had it not been for recent tanker shipments from overseas. This is what happens when you don’t build your own natural gas pipelines, which are the safest and most economical way to transport energy. The trouble is there isn’t enough pipeline capacity to bring in natural gas from the Marcellus shale in Pennsylvania to New England in times of high demand. Even as America’s natural gas production has soared, the pipeline capacity to get it to where it’s needed hasn’t kept up. The problem: political obstacles driven by environmental groups. In the past two years, regulatory obstacles have led to the cancellation of two pipeline projects, which is ominous for a region that desperately needs more natural gas to make up for the shutdown of nuclear and coal plants. Moreover, there are those in the region who promote themselves as climate leaders but continually block new gas pipeline capacity. A protracted legal battle over the project has been underway since the Federal Energy Regulatory Commission, or FERC gave a green light in 2014 and 2016 because the state of New York has refused to issue a water permit.